In October 2012, following an appeal from developers, Bloor Homesand Hallam Land Management, the Secretary of State for Communities and Local Government, Eric Pickles, overturned a unanimous decision from Stratford District Council to block the building of 800 homes on land adjacent to Anne Hathaway’s Cottage in Shottery. The people of Stratford upon Avon have been supporting their directly elected Council to resist the attempts of developers for over 20 years. 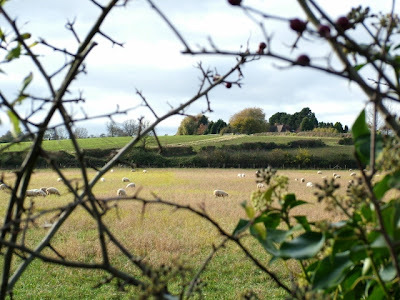 In 2011, the District Council voted unanimously to reject the proposal submitted by Bloor Homes and Hallam Land Management, who were then granted an appeal by Eric Pickles. In April 2012, a Public Inquiry was held in Stratford upon Avon. We haven’t the time or patience to go through all that again. It was hell on earth for everyone concerned (except for Shakespeare Birthplace Trust, who played no part, despite the proposed development being partly on land it owns). As the decision was awaited in October, the Government announced that it was attempting to kick-start the economy through house-building. In essence, this meant that, despite the Government’s much-vaunted Localism agenda, local councils should give consent to new building proposals, even when there were valid reasons to oppose. On 8 November 2012, Stratford MP, Nadhim Zahawi, slated Eric Pickles in a House of Commons statement for destroying , in a single stroke, the people of Stratford-upon-Avon’s belief in the government’s localism agenda. All great, but, in many respects, too little, too late. But, of course, it’s never too late. And you’d think, wouldn’t you, that the guardians of Shakespeare’s heritage would have a very easy decision to make. After all, they are the decision-makers who stand in the way of this development going forward. To bring their plan to fruition, the developers need the land that the Shakespeare Birthplace Trust owns next to Anne Hathaway’s Cottage. If it is refused them, they may not go away. But they will have to re-submit an alternative proposal which goes around that land – which means going through the entire planning process all over again. And, this time, the world will be ready for them. On 28 November, the executive board of Trustees of the SBT will discuss the Shottery development and the possible impacts on Anne Hathaway’s Cottage and gardens – and on the reputation of the Trust. If they were hoping to keep it all ‘hush-hush’, it’s too late. We’ve acted because it seems that whatever SBT are officially saying in public is not what some are saying in a private capacity. If the great and the good of Shakespeare Birthplace Trust ever thought taking developers’ money would be a no-brainer and that the world would quietly let them accept on a flimsy pretext of having no choice, they are now having to think again. The power of social media today is instant. 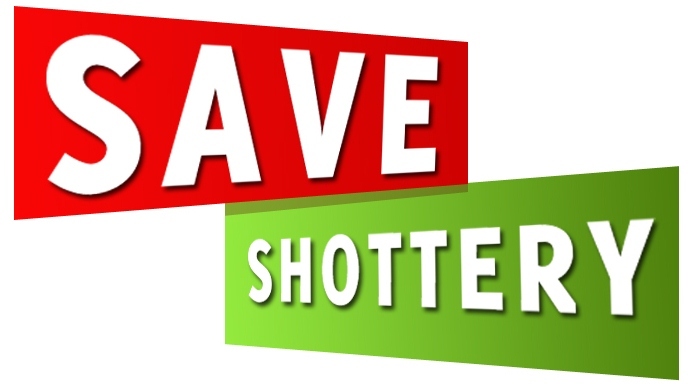 In just two weeks, Save Shottery has reached more people and spread the message about this development further afield than 20 years of polite campaigning. And it’s proved our point that this is about Shakespeare – an issue of national and global importance – not a NIMBY protest. We are in contact with SBT and we hope, eventulally, to be able to evolve this campaign into a good news story where SBT are doing something heroic - i.e. being brave enough to stand up to developers, say ‘no’ to their money, stop the house and road building and find a more positive way to raise funds to save Shakespeare’s life and times. That’s how things stand. You know where we stand. But we still don’t know where the Trustees stand. There isn’t much time. Please act fast. Sign the petition. Use the comments box to let the Trustees know how you feel. Tweet the world.